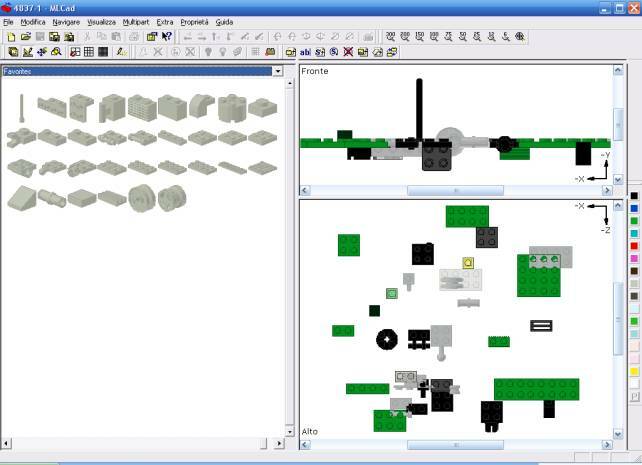 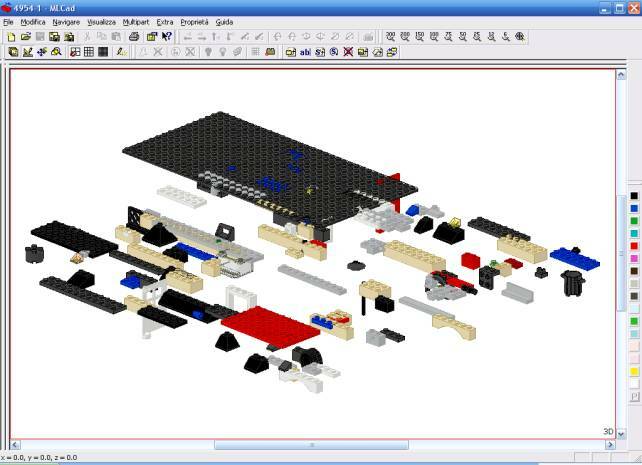 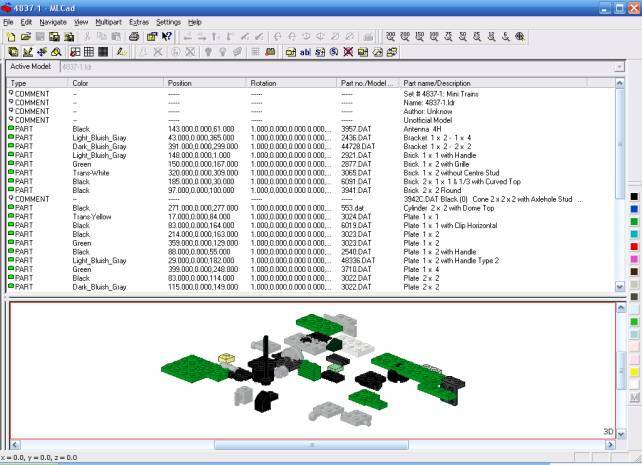 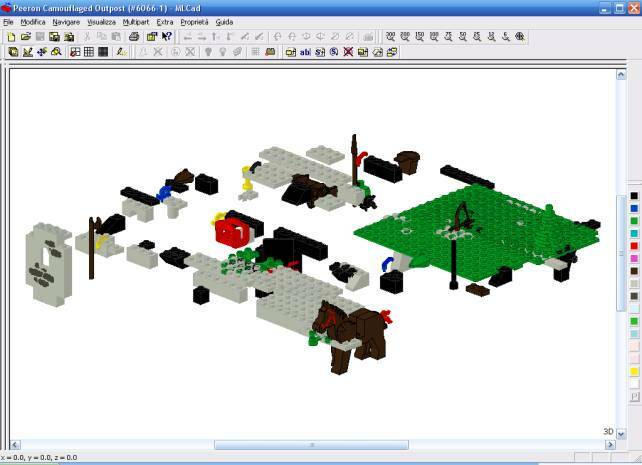 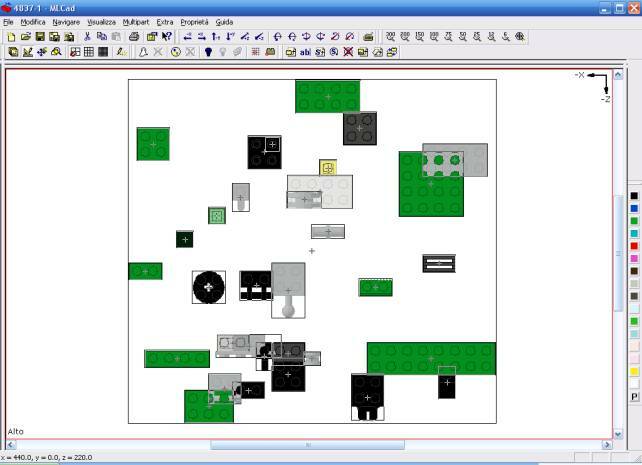 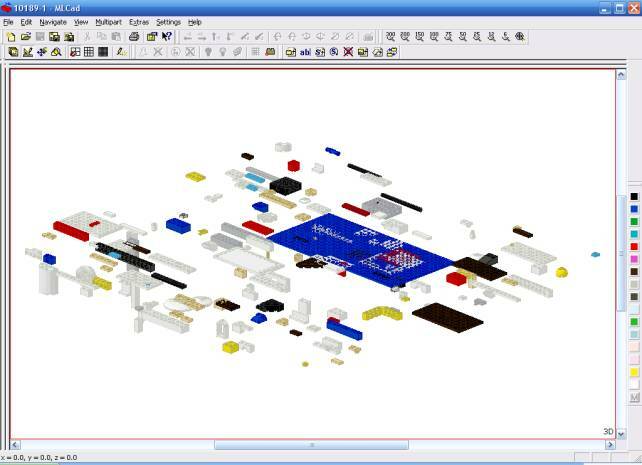 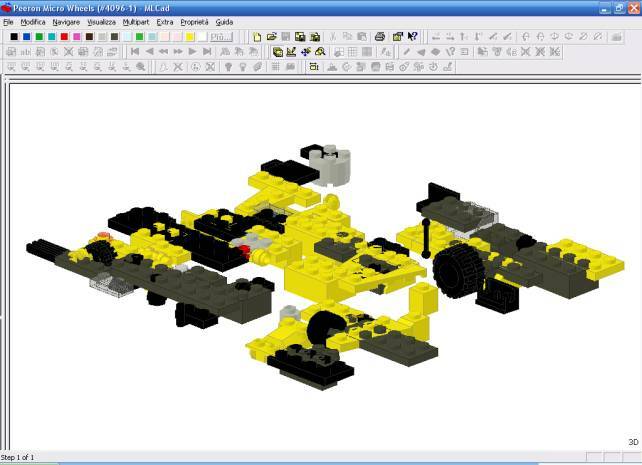 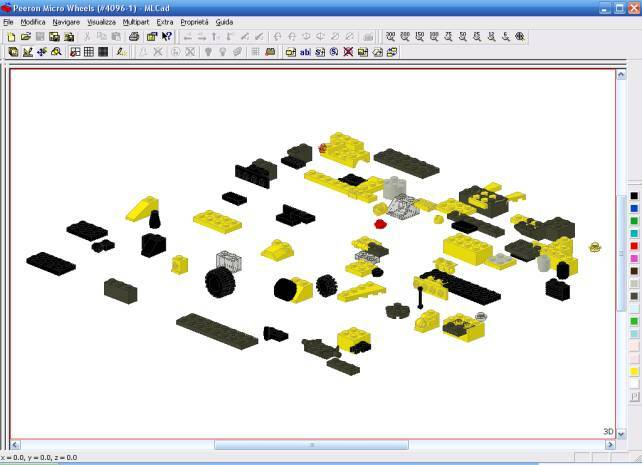 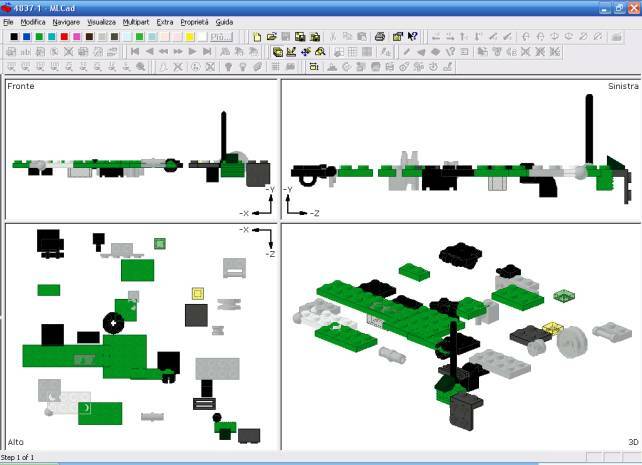 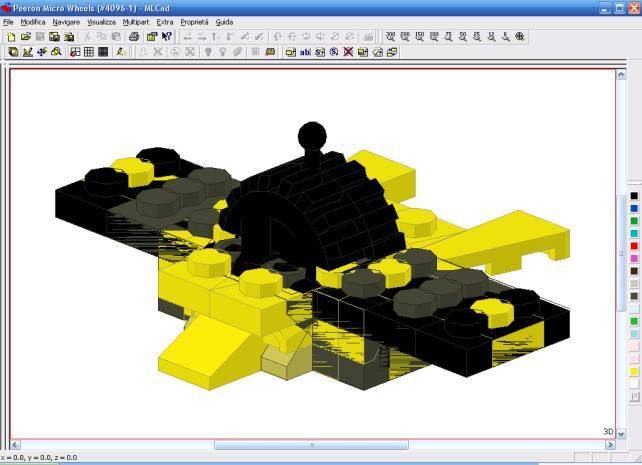 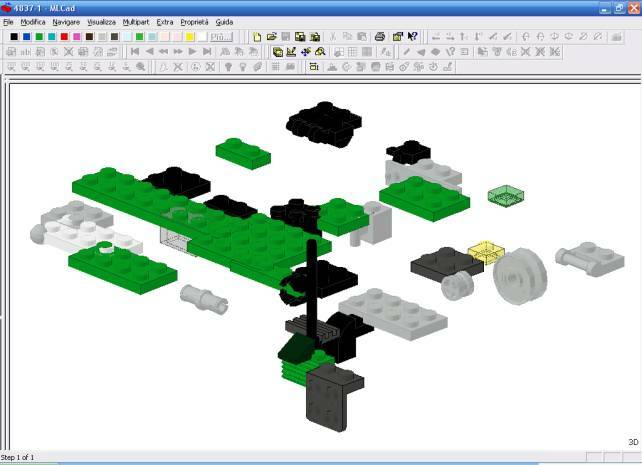 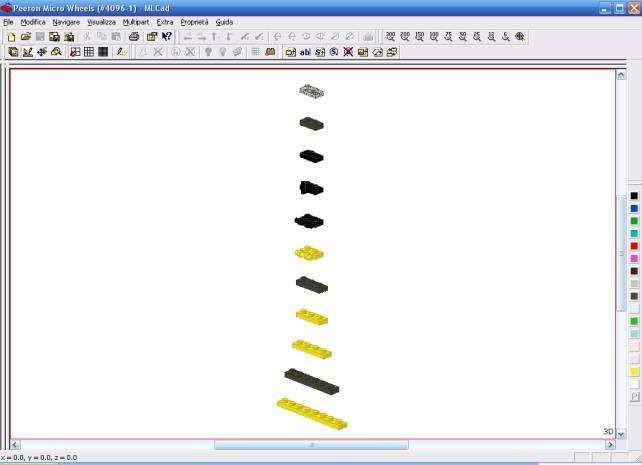 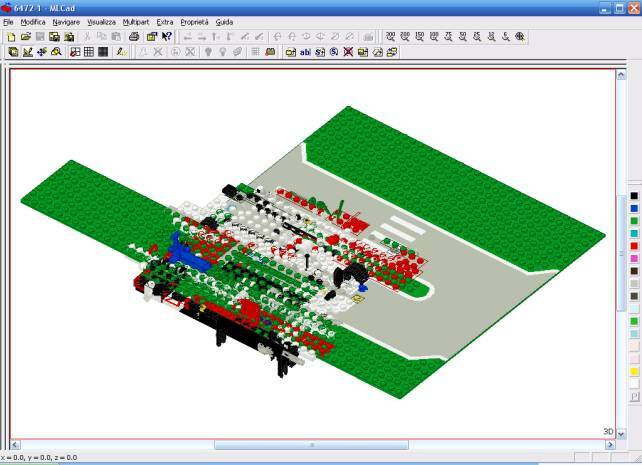 Peeron_to_MLCad is useful to simplify the initial phase of implementation, with MLCad, of existing Lego Sets. 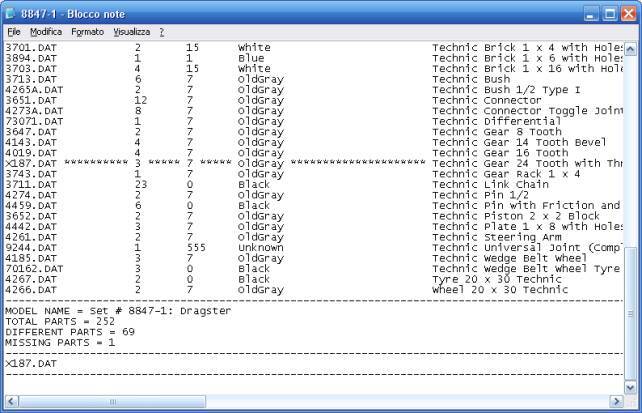 It's possible to reduce drastically the time needed to select the parts and find the appropriate colors. 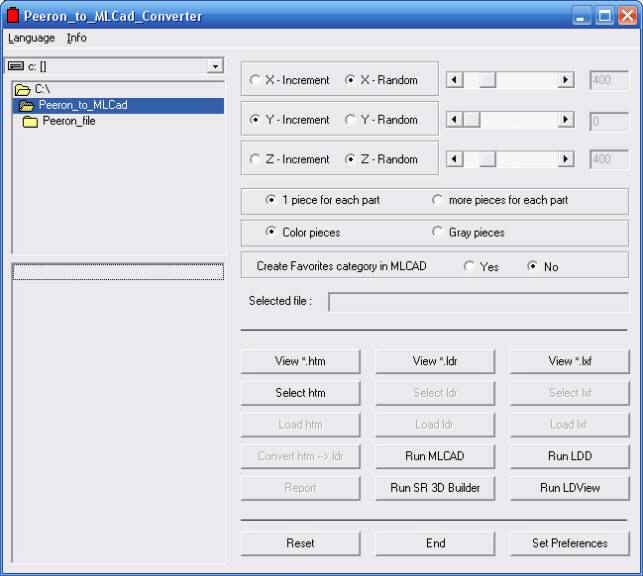 Peeron_to_MLCad has a simple user interface and can be downloaded at the following address: http://zaxxonit.altervista.org/peeron_to_mlcad.zip. 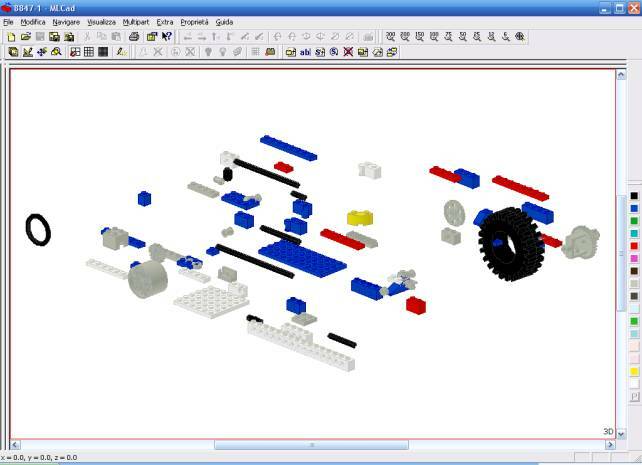 Suppose you want to virtually reproduce the set 4837, a little green train. 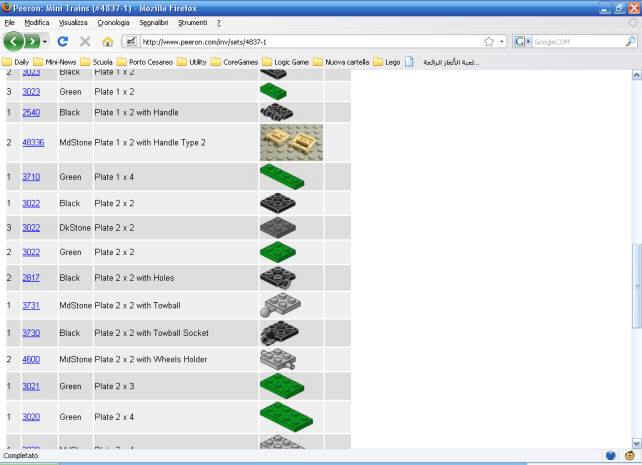 The site http://www.peeron.com for every Lego set, offer an inventory of the parts required and represents the starting point of this application. 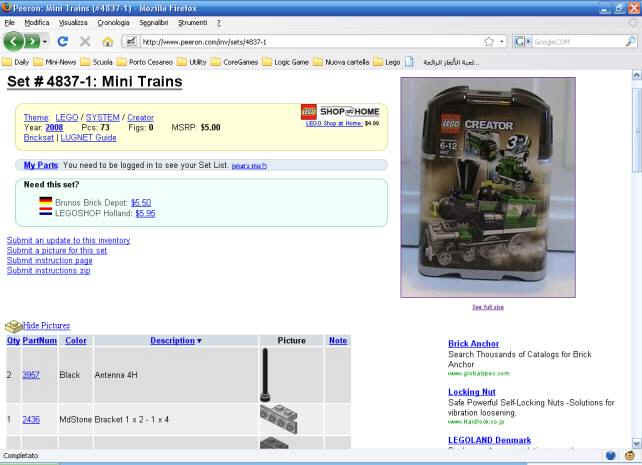 1) Connect to http://www.peeron.com, make the search (in this case, the 4837 set) and then save the page with the option "Save complete web page" in a folder (is better where Peeroon_to_MLCad was launched). 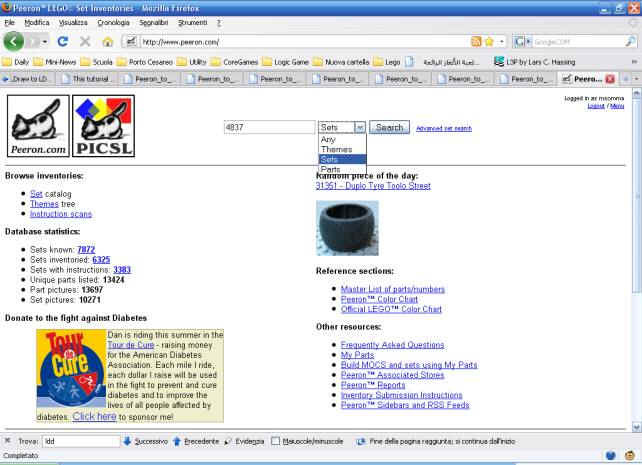 It's possible to use Internet Explorer or Mozilla Firefox. 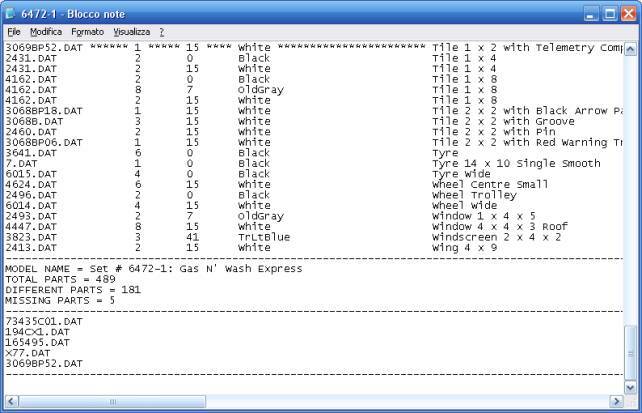 The program was tested with the version 7 of Internet Explorer and with version 3 of Mozilla. 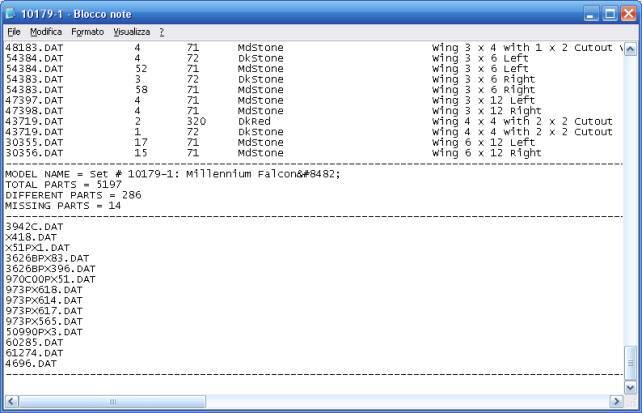 the first 4). 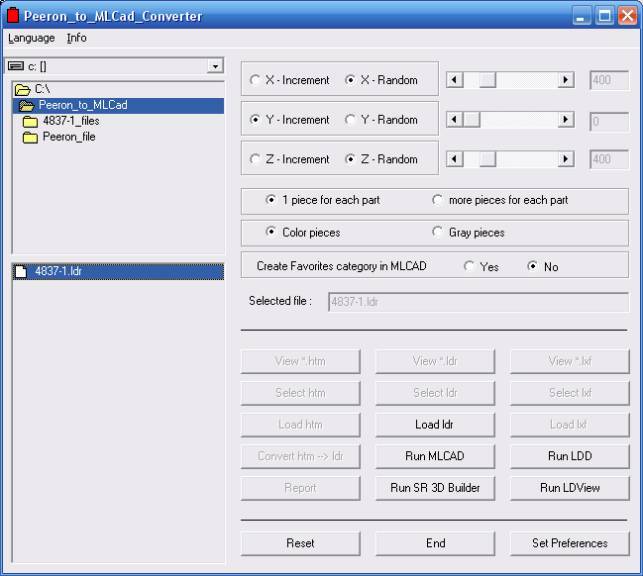 Click on Save Changes to confirm your changes. 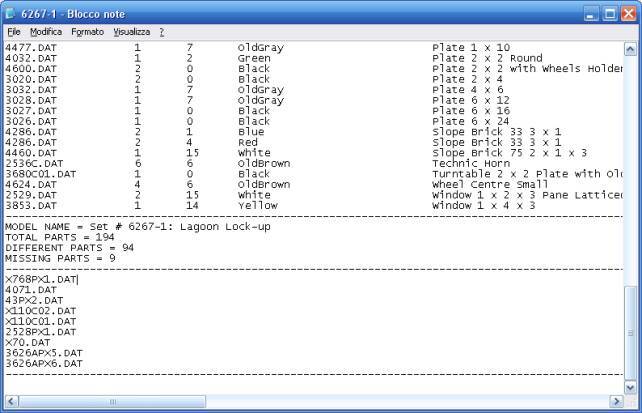 6) Eventually, modify some options. 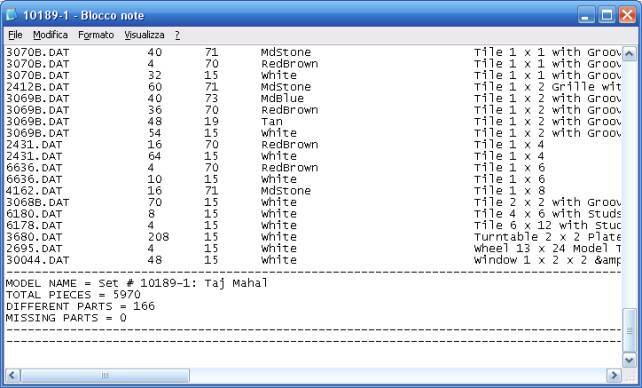 7) Click on Convert htm --> ldr . 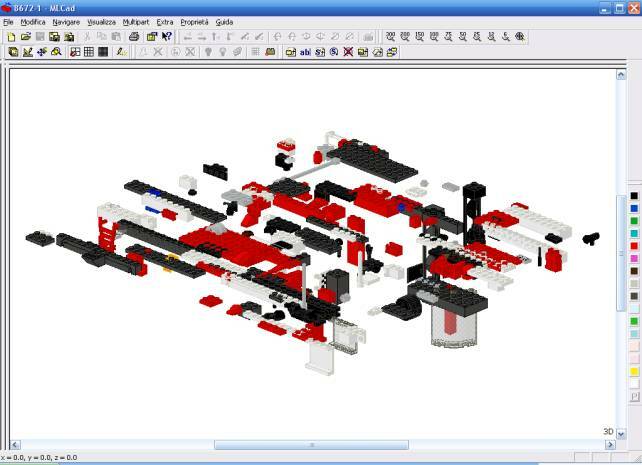 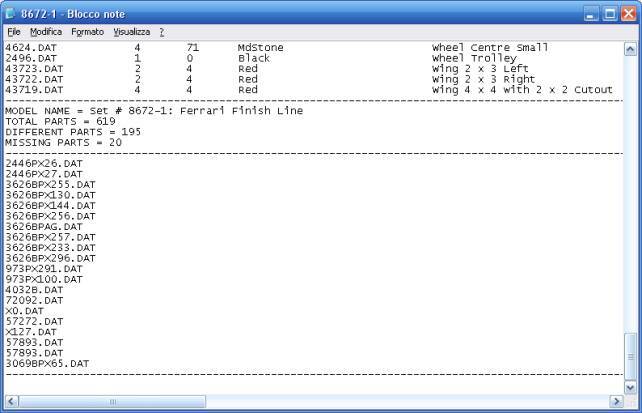 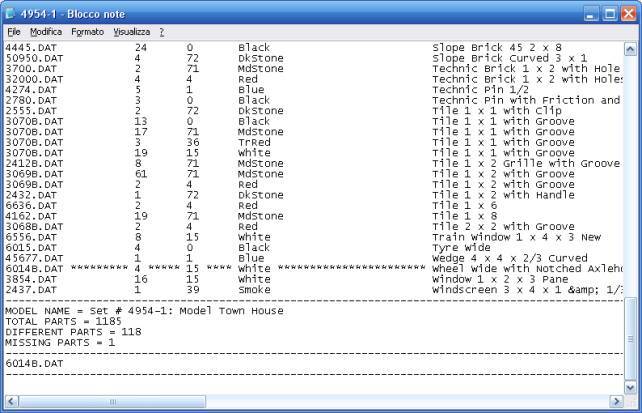 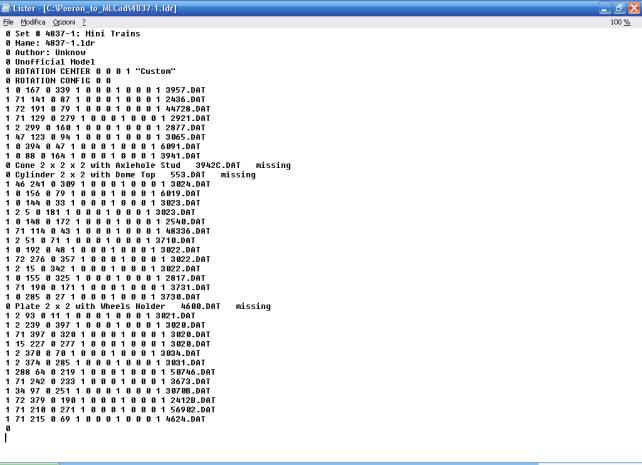 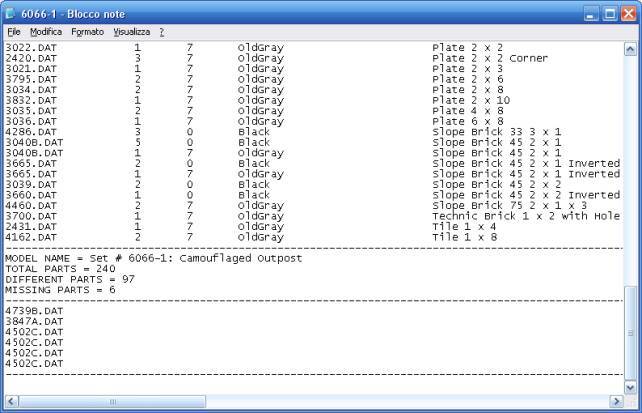 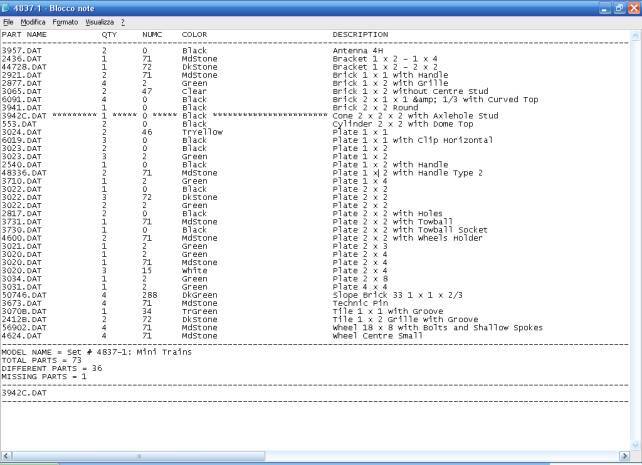 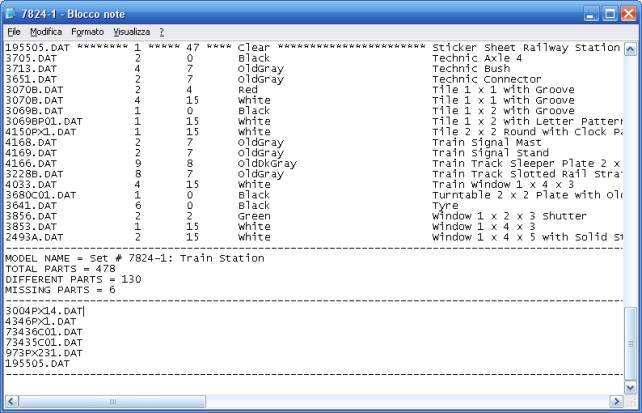 The program will create a file which can be read by MLCad. 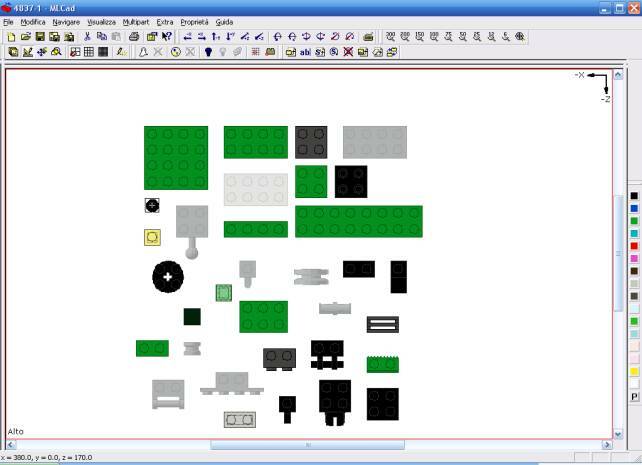 15) Place the pieces so that there is no overlap. 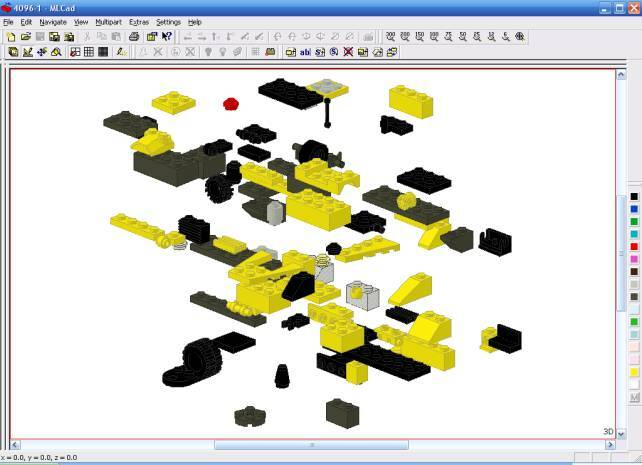 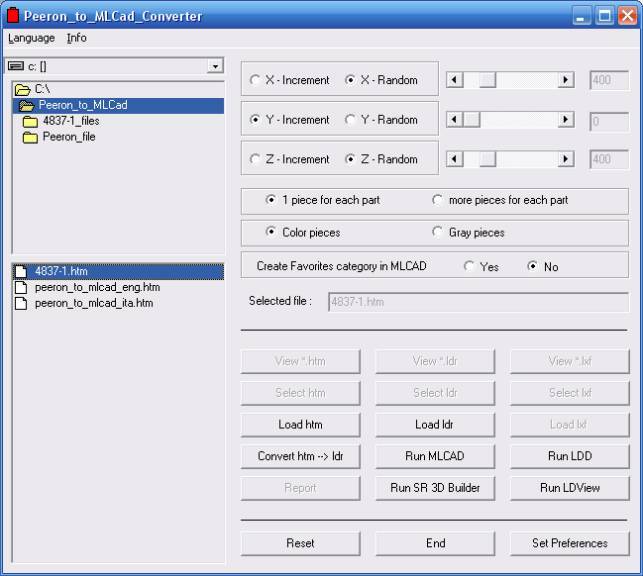 If you have previously (in the step 6) selected the option: "Create Category in MLCad Favorites" you will have also a folder with the pieces imported. 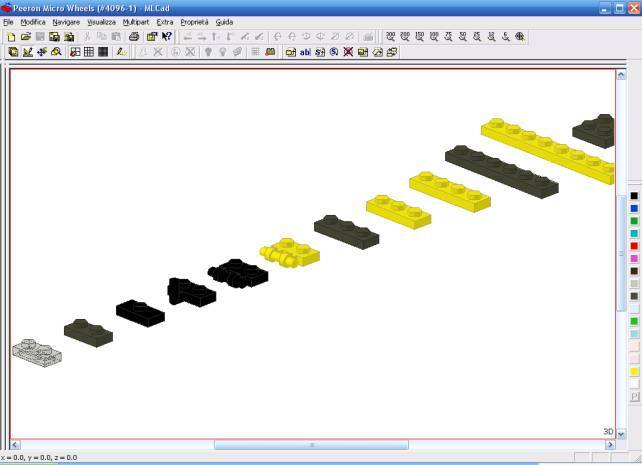 Now you can start to reproduce the Set !! 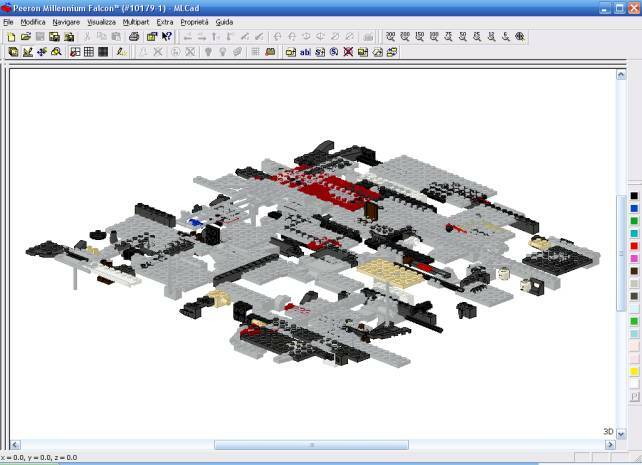 2) The options: 1 piece / more pieces and Color / Gray are obvious. 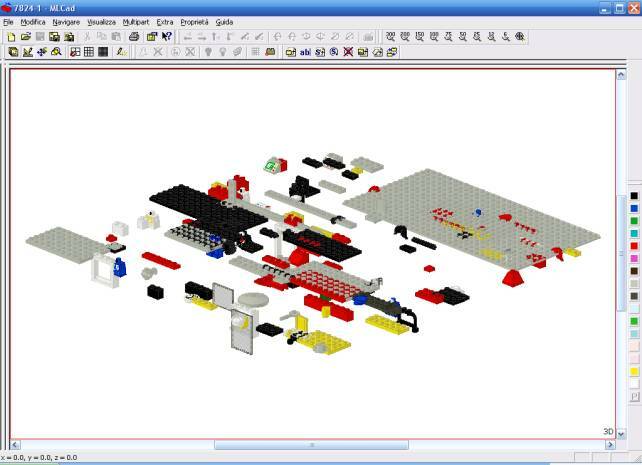 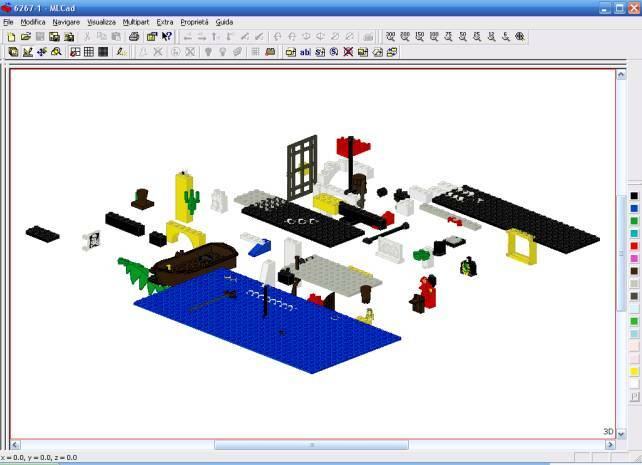 3) The other functions: Run LDD, Run LdView, Run SR 3D Builder, Run MLCad are useful only to launch the most common applications of CAD for LEGO.